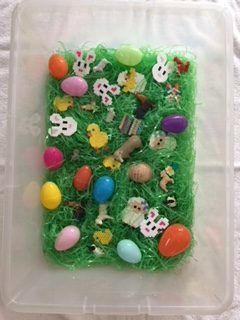 This easter sensory bin allows kids to run their hands through crunchy easter grass, play with smooth easter eggs, and feel the textures of play animals and perler bead animals. It is also full of bright colors which will help hold your child’s attention. 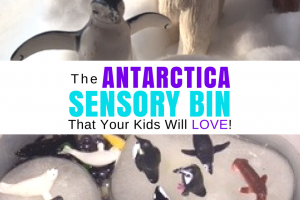 My two younger children loved this easter sensory bin! 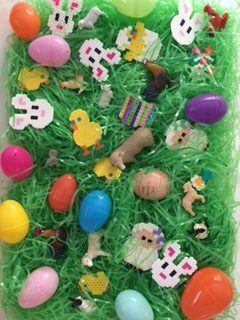 They spent quite a while running their hands through the grass, burying and then searching for the eggs and animals, and incorporating imaginative play by making the animals talk to one another! Not only is it great for toddlers but my six year old had fun with this as well! What a great way for siblings to learn sharing and imaginative play! 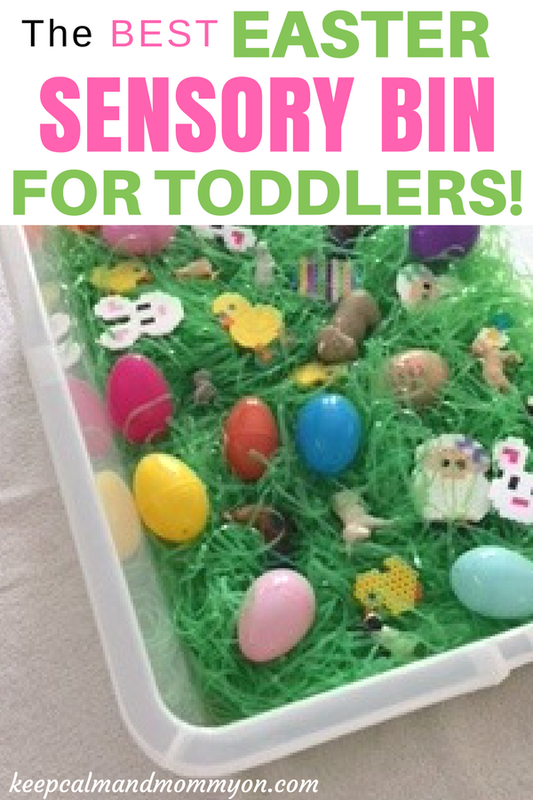 How to make the easter sensory bin. First you need a bin to put your easter items in. Next, gather your easter toys! You don’t have to use exactly the same items that I did. Any easter toys will work! The only item that you really need to use for the experience that I did, is the easter grass. Easter grass is the part that makes this sensory bin fun! Then I added easter toys! Simply add the easter toys to the easter grass and that’s it! Then comes the fun part, sensory play! 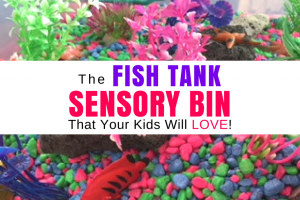 I hope you and your kids enjoy the easter sensory bin as much as we did! What kind of easter toys will you add to your easter sensory bin? « Sour Cream Easter Cookies!